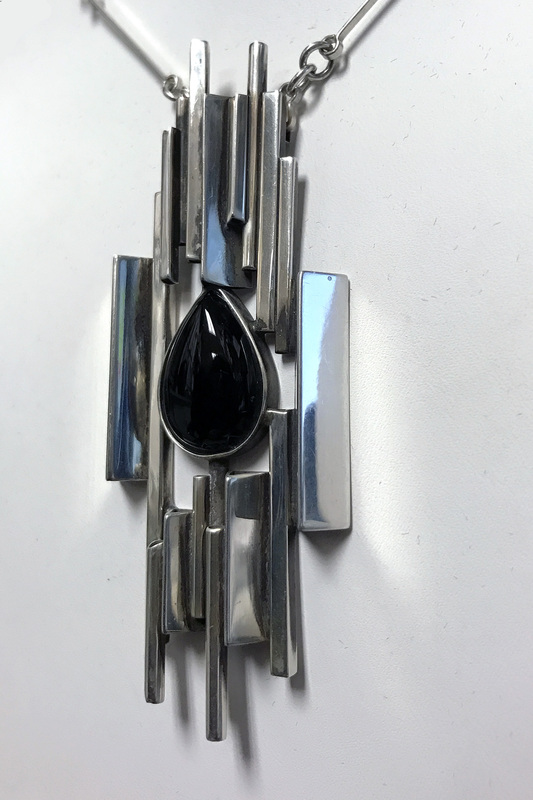 Linear Jewelry - This is a dramatic handcrafted sterling silver pendant that frames a pear shaped black onyx cabochon gemstone (20mm x 15mm). This statement necklace comes with a handmade adjustable link chain. 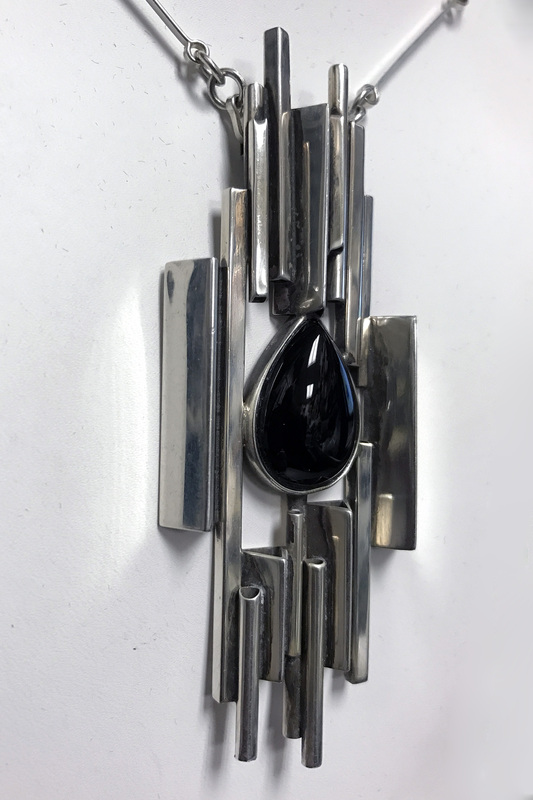 A beautiful modern sterling silver linear pendant with a tear drop shaped black onyx. 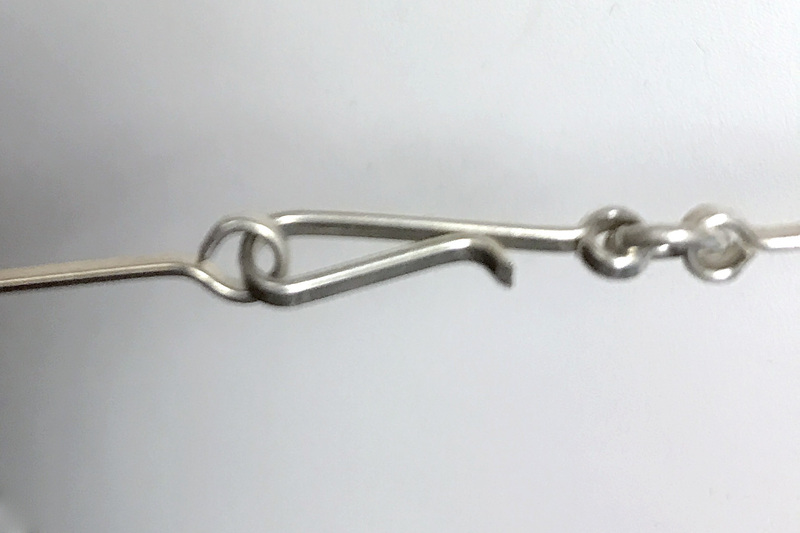 This abstract piece hangs from a 24" long handmade sterling silver link chain that is adjustable. 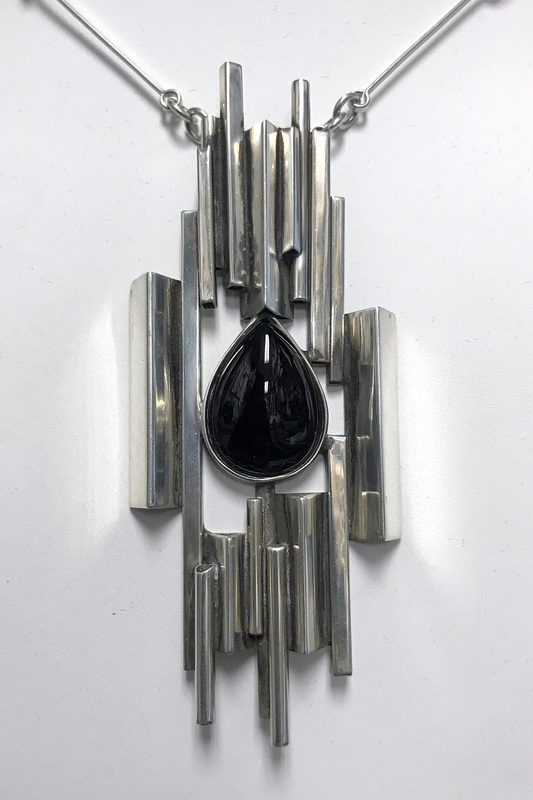 This necklace is signed and handmade by Aaron Rubinstein and Modern Art Jewelry.